down to every single interaction from beginning to end. that the second would come into play, leading You to the third & final garden. In the first, we broke Your heart. In the second, You bent the knee. In the third, You broke the chains. broken before it could be restored. You lay in after the beating of the cross. You rose to the fullness of life. For You are the Living Word. What You speak, comes to pass! What You break, only You can rebuild. What You love, is loved forever. When You revealed Yourself to Mary, You lifted her to see Your face. When You revealed Yourself to Peter, John & Thomas, You let them touch You. Whenever You reveal Yourself, hope enters the room or situation. They are singing You have risen from the dead! And You have not stopped bringing the dead to life ever since! 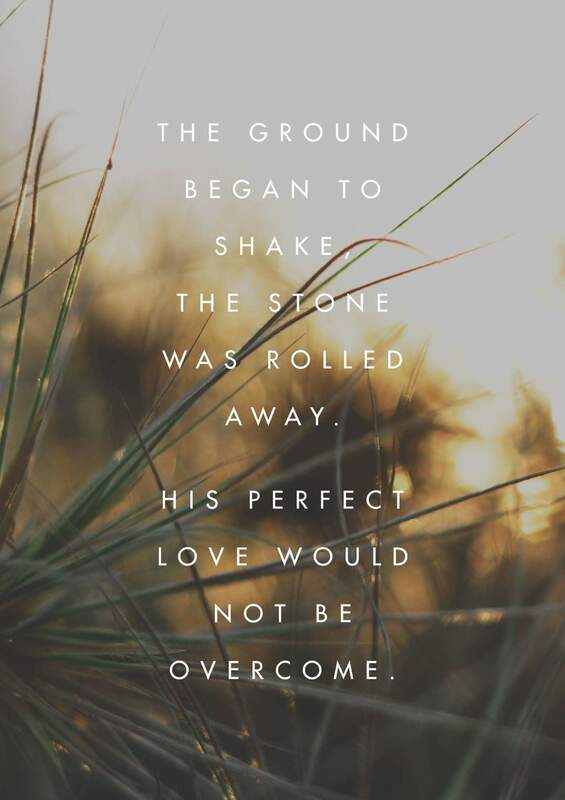 Your Love could not be contained by the earth or the enemy. ran deeper than any could know. It ran right into eternity!